My name is Kali and I am a referral coordinator here at Healthy Living Primary Care. I have been here almost a year. When I first started working here, I had just gotten over a stomach problem that caused me to lose about 30 lbs. I wanted to continue the weight loss, so I started following our weight clinic. At 5’3″, I was over 180 lbs and at my heaviest, I was about 215 lbs. I have been overweight for as long as I can remember. Even as a young child I was overweight, and I have never been at a healthy BMI. So, I started following the 5 and 1 meal plan (5 meal replacement shakes and 1 lean green meal) and I started seeing results right away. It felt amazing to watch my stomach, thighs, arms, etc. slowly shrink. I would cheat on my diet on the weekends, but I would work extra hard during the week to make sure my number kept going down on the scale. 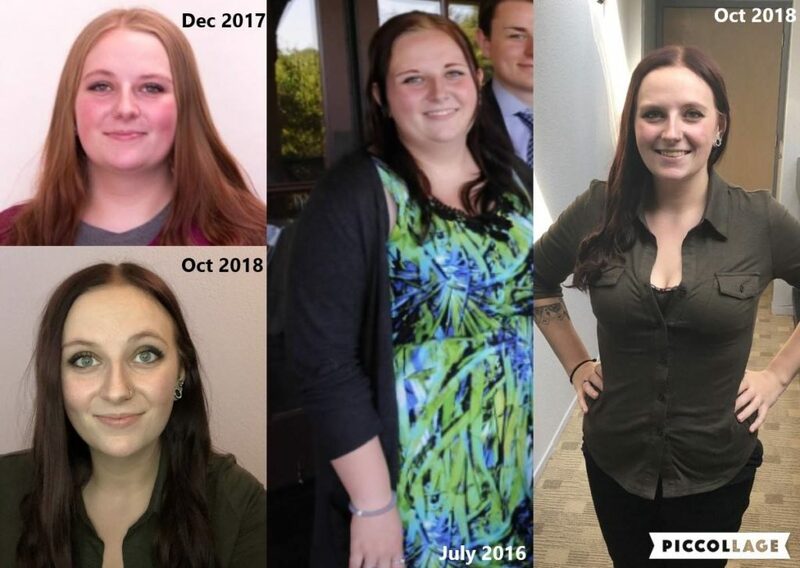 As of today, I have lost over 70 lbs. I am at 141 lbs now, and I am a healthy BMI for the first time in my life. I had always just accepted that I would always be overweight, but here I am now, healthier and extremely proud of how far I have come. I will be posting more in the next few weeks about all the benefits from losing weight and giving you guys updates on my goal to hit 130! Feel free to send me a message or call the office if you have any questions. If I can do this, YOU CAN TOO!